"All the tawdry details I'm dying for are in these stories, but they're given out like old sweaters--without shame, without guile. Amy Hempel is the writer who makes me feel most affiliated with other humans; we are all living this way--hiding, alone, obsessed--and that's ok." --Miranda July From legendary writer Amy Hempel, one of the most celebrated and original voices in American short fiction: a ravishing, sometimes heartbreaking new story collection--her first in over a decade.Amy Hempel is a master of the short story. A multiple award winner, Hempel is highly regarded among writers, reviewers, and readers of contemporary fiction. This new collection, her first since her Collected Stories published more than a decade ago, is a literary event. 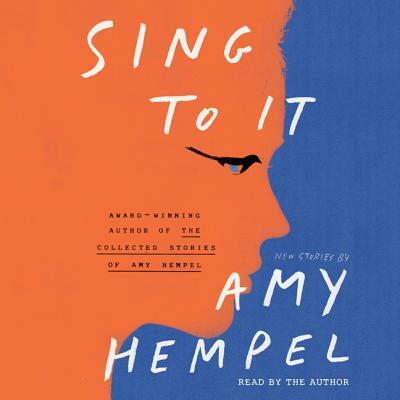 These fifteen exquisitely honed stories reveal Hempel at her most compassionate and spirited, as she introduces characters, lonely and adrift, searching for connection. In "A Full-Service Shelter," a volunteer at a dog shelter tirelessly, devotedly cares for dogs on a list to be euthanized. In "Greed," a spurned wife examines her husband's affair with a glamorous, older married woman. And in "Cloudland," the longest story in the collection, a woman reckons with the choice she made as a teenager to give up her newborn infant. Quietly dazzling, these stories are replete with moments of revelation and transcendence and with Hempel's singular, startling, inimitable sentences.